Credit: Saturday Morning Breakfast Cereal. The graph looked plausible. It didn’t really fit my experience, but it didn’t seem implausible either. So I took a 5 minute jaunt over to Berkeley’s SDA engine, which draws on US GSS data. 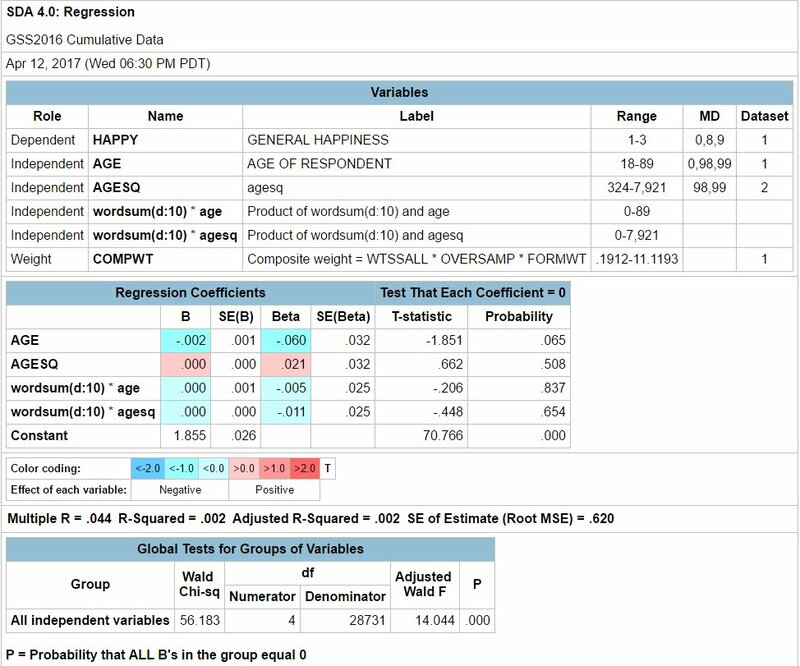 First I ran a basic regression of happiness on age, age squared, with a high score in wordsum (a vocabulary test) as my nerd interaction term. Berkeley lets you run the regression right in the website. I’m not sure I’ve got this one right – can’t guarantee that I properly excluded where they used a code for missing data. The orange line is noisier – as you’d expect as there are fewer observations over which it averages at each age group. What do we take from this? Happiness is not quadratic in age. Maybe wellbeing is, but I don’t think that’s in this dataset. And I can’t made diddly out of any difference between top scores and the average. 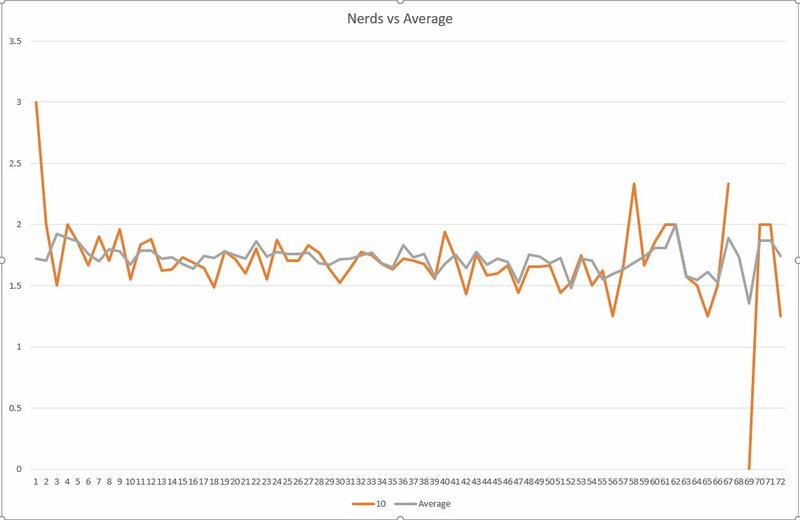 I’m sure there are plenty of refinements that people could make: there’s great educational attainment data and other stuff in there that could better identify nerds, and maybe there is something in there that’s closer than happiness is to well-being. But I didn’t have more than 10 minutes to play with it.